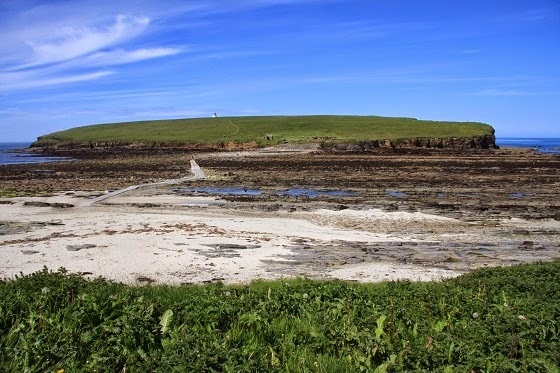 The Brough of Birsay is a tidal island off the mainland of Orkney. As well as being a beautiful place with magnificent scenery and wildlife to watch, it has the remains of Pictish and Norse settlements and a modern lighthouse. You can only reach the island on foot via a causeway for a couple of hours on either side of low tide. Luckily that was at lunchtime the other day, when I took the photos on this post. You don't want to stay on the island too long or you will have to swim back to the mainland. 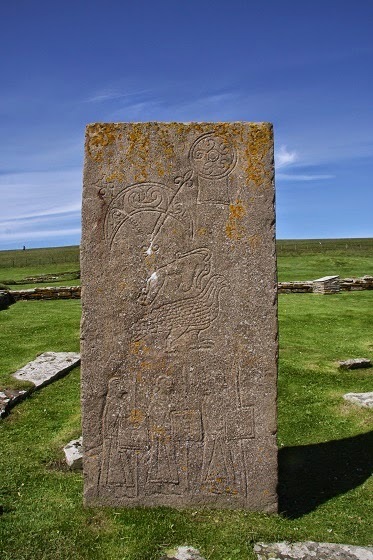 The photo on the right shows a cast of a stone with Pictish inscriptions that stands on the site of the ancient settlements on the Brough. As you can see from my photos, I had great weather when I visited during my holiday to Orkney this week. I enjoyed a picnic on the cliff while watching sea birds wheeling around in the breeze and waves crashing on the rocks below. 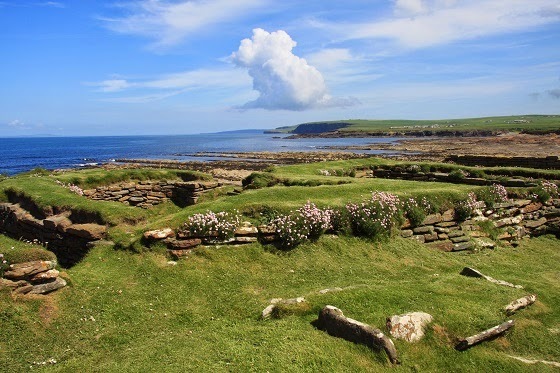 You can find out more about the Brough of Birsay by clicking on the links below the picture.